An anthology of speculation fiction from nineteen Canadian authors, tackling the fine balance between mental health and mental illness. 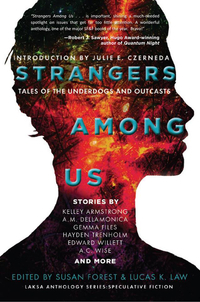 Authors include Kelley Armstrong, A.M. Dellamonica, Gemma Files, Amanda Sun, and Edward Willett. Introduction by Julie E. Czerneda.